Die Schönheit des Übergangs Am 10.11.2017 erscheint das Debütalbum von Yeah But No. Das zur Band gewachsene Projekt der in Berlin lebenden und arbeitenden Musiker Douglas Greed und Fabian Kuss spürt in regnerischer Electronica der Schwere von Bruch und Ende nach. Es zelebriert die in jedem Wandel liegenden Energie und die Schönheit des Neubeginns. In cleveren Kompostionen kartografiert das Duo wie nebenbei die in Synthesizer und drum machines verborgen liegende Melancholie. 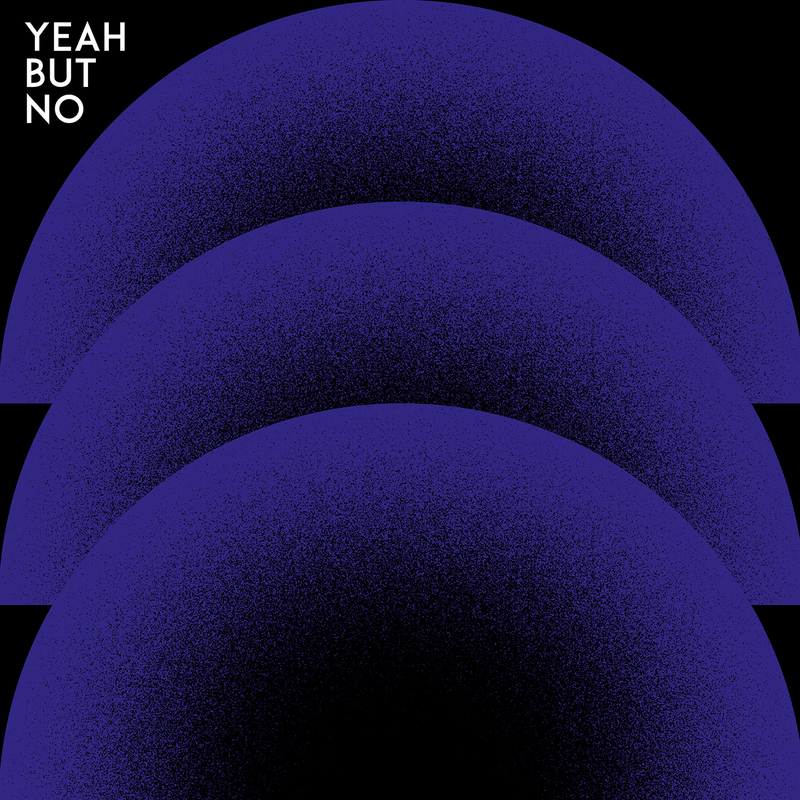 On November 10th the debut album of Yeah But No is released. 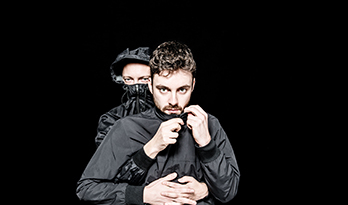 The project of Berlin based musicians Douglas Greed and Fabian Kuss, that has grown into a band, tracks down the heaviness of breach and ending in rainy Electronica. It celebrates the energy within every change and the beauty of a new start. 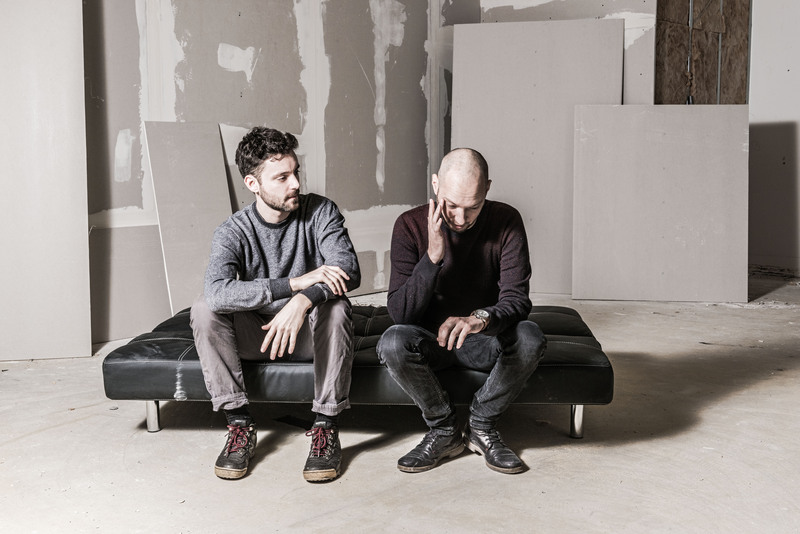 With smart compositions the duo airily maps the melancholy hidden in synths and drum machines. Greed and Kuss get to know each other four years ago when the former was looking for a singer for new tracks. 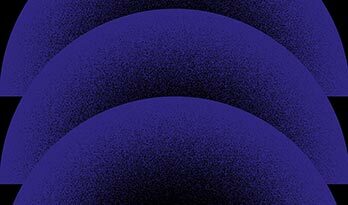 The tasteful success label Freude am Tanzen is releasing Greed's music at that time. He's touring through Europe, plays in Mexico and Australia. Also, with Mooryc he's releasing an album with the mutual project Eating Snow. However Greed is tirelessly writing and producing new music. At this point he crosses Kuss' path. "I was looking for a professional", he remembers. "There was a gig at Fusion Festival coming up. It was very spontaneous but it worked instantly. And it worked very well. Our ideas matched terrifically." 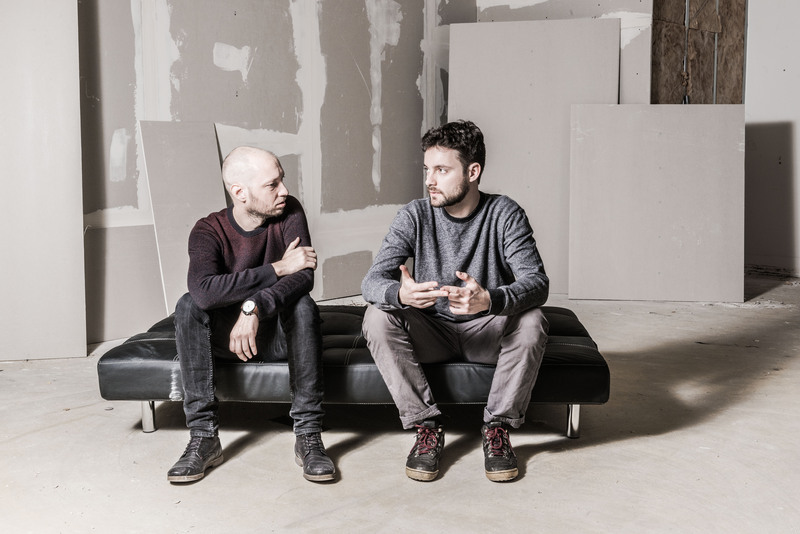 After one hundred gigs in national and international clubs and on festivals the two develop a stage presence as nonchalant as thrilling. 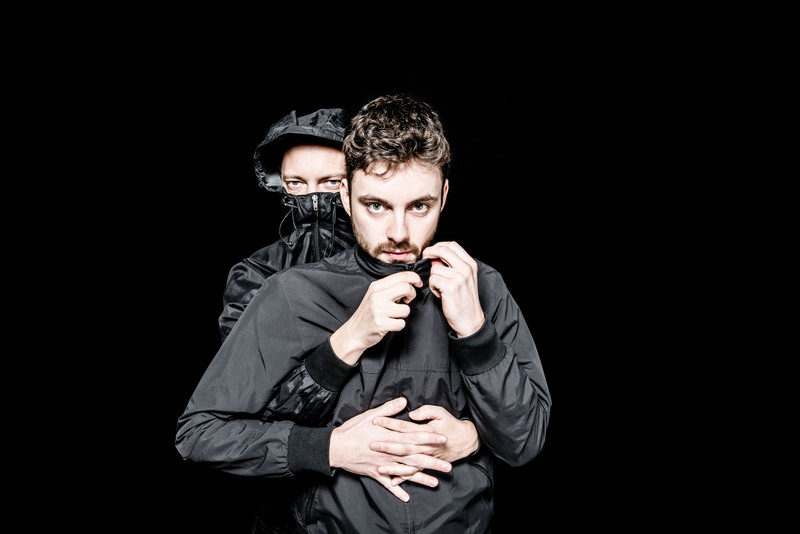 After the release of a dozen of tracks together - among others on BPitch Control, Noir and Cocoon Records - both decide to split the artistic responsibility and start writing tracks jointly. "On long drives we challenged each other musically and found our overlap", tells Kuss. "And on all these concerts it became clearer and clearer that we wanted to let this project grow into a committed band." In doing so, though, Greed and Kuss draw their energy from fundamentally different approaches. Greed describes himself as an autodidact, likes things to be decided by accident or mistakes. Kuss studied voice, has tried out every musical style imaginable in various bands and projects from jazz to funk or pop and let's the outsider's view affect this project. Between these poles they merge electronic music with classic song structures into a smart and captivating listening enjoyment. Hence with "Bankruptcy" the album admittedly starts with understatement, but programmatically turbulent. After a short and sudden glimpse into the music you unexpectedly get into the undertow of this nervous track. Kuss sings of disagreement, blame and unsolvable conflicts. The abrupt end makes way for the elegant and lightly pulsating "The Way We Chose" and the calmly driving "Leave The Dark". Both tracks take confidence from looking back and lyrically lead into the short interlude: "I Don't Give Up". The concise and precise "Hold It All Back" with its stoic straight bass and the dark-technoid "Sand" form one of the centres of the album. In an almost meditative way it's discussed to restrain oneself and - in front of the controlledly overflowing soundscape - to rise in each other or in something bigger. The next interlude "Renew Me" opens up the final chapter of the album. "In Your Sheets" is amazingly sparsely arranged and tells of missing the right moment for the vital step. The likewise sparse but electrically charged "Chameleon" deals with the lack of attitude before "New Again" concludes the album. The pleasantly quirky piece is an ode to a new beginning and the never fading invitation to look for new challenges. Yeah But No continue writing their Greatest Hits of Never Arriving. Always a hard ending, always a hopeful beginning.